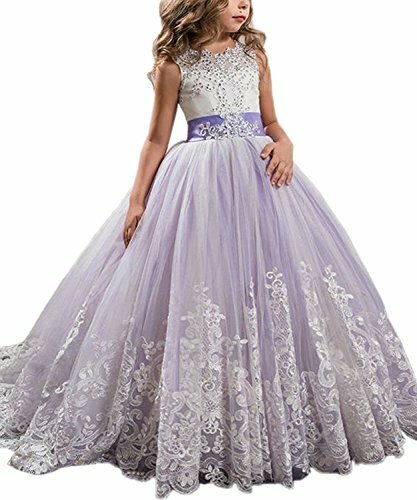 Add a petticoat to make the dress as puffy as pictured. SERVICE:If You have any Questions or Problems, Please Contact us Freely by E-Mail. 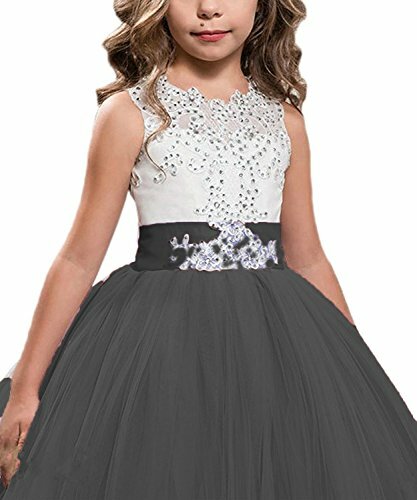 NOTE: BRIDAAL is the ONLY authorized seller for KSDN dress. others are fake selling counterfeit dress, please only buy from BRIDAAL. 2.Pls refer to the SIZE CHART on the LEFT,?Don't choose the size according to the girl's Age. ? ?Custom made service is offered. 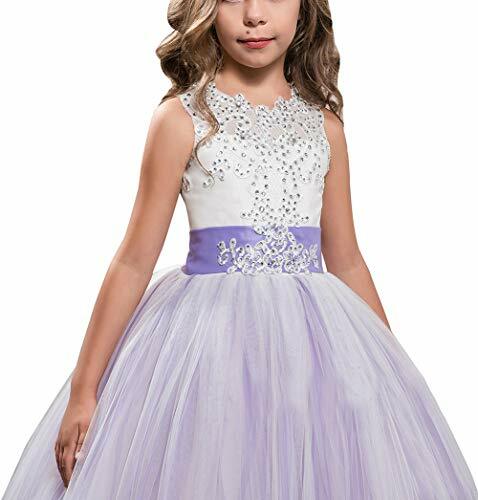 3.Occasion:Suit for girl's first communion,pageant,wedding flower girl dresses,birthday party,Easter and other formal or special occasions. 4. 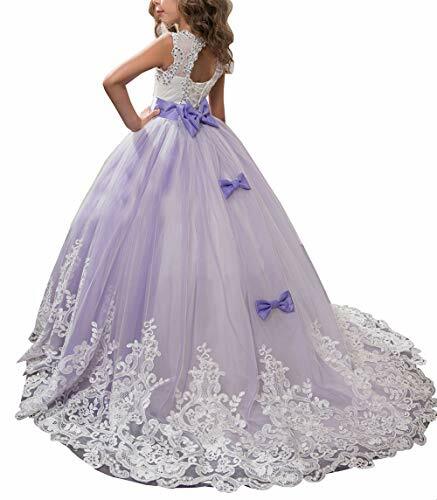 Ball Gown Silhouette with scoop neckline, Short sleeve, White Appliques and bow at back. 5. TWO Shipping Options are offered: ?The Expedited Shipping needs 3-4 days and The Standard Shipping needs 10-15 days. 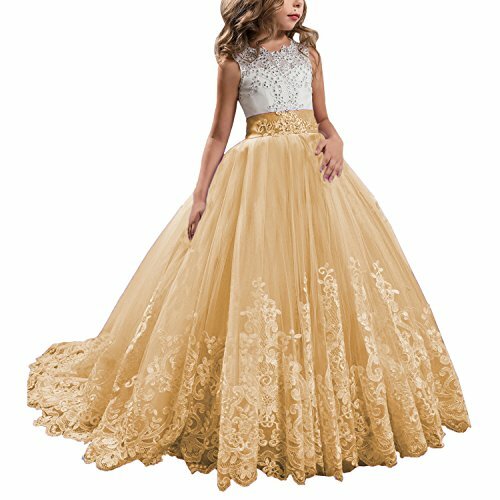 If you need the dress urgently, please choose expedited shipping and email us your deadline,we will try our best to send the dress on time.